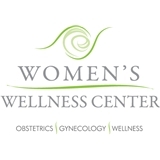 Women's Wellness Center (Boca Raton) - Book Appointment Online! Please note: You must call the office to verify your insurance information in order to confirm your appointment. Our Mission We are Ob/Gyn physicians helping women experience better health by combining Traditional with Alternative and Complementary Medicine. Our Vision Our vision is to inspire women of all ages to achieve a superior quality of life by realizing ideal health of mind, body and spirit. Our ultimate goal is to be the first Ob/Gyn practice to provide individualized care in a collaborative, nurturing environment. We are proud to offer the complete experience. As a woman it's so important to have your gynocologist be someone you can trust and will listen to how you feel. You have that and more with Dr. Pezzllo-Burgs and her office. Amazing Dr. And amazing staff! !